Give your cabinet a classy makeover with this unique Bold Style handle! 6"(Overall Length) 100% Stainless Steel Cabinet Handle Pull. 5-3/8" hole to hole spacing. Made with 100% Stainless Steel to avoid any corrosion and color fading. 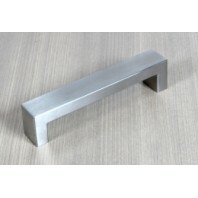 Brushed stai..
Give your cabinet a classy makeover with this unique Brick design handle! 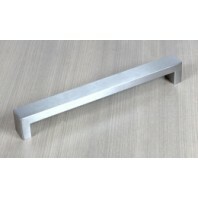 8"(Overall Length) 100% Stainless Steel Cabinet Handle Pull. 7-3/8" hole to hole spacing. Made with 100% Stainless Steel to avoid any corrosion and color fading. Brushed stainless steel finish. ..
Give your cabinet a classy makeover with this unique Brick design handle! 10"(Overall Length) 100% Stainless Steel Cabinet Handle Pull. 9-1/4" hole to hole spacing. Made with 100% Stainless Steel to avoid any corrosion and color fading. Brushed s..
Give your cabinet a classy makeover with this unique Bold style handle! 12"(Overall Length) 100% Stainless Steel Cabinet Handle Pull. 11-1/4" hole to hole spacing. Made with 100% Stainless Steel to avoid any corrosion and color fading. Brush..
Give your cabinet a classy makeover with this unique Bold Style handle! 16"(Overall Length) 100% Stainless Steel Cabinet Handle Pull. 15-1/4" hole to hole spacing. Made with 100% Stainless Steel to avoid any corrosion and color fading. ..
Give your cabinet a classy makeover with this unique Bold Style handle! 20"(Overall Length) 100% Stainless Steel Cabinet Handle Pull. 19-1/8" hole to hole spacing. Made with 100% Stainless Steel to avoid any corrosion and color fading. Brushed ..
Give your cabinet a classy makeover with this unique Bold Style handle! 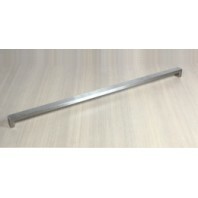 24"(Overall Length) 100% Stainless Steel Cabinet Handle Pull. 23" hole to hole spacing. Made with 100% Stainless Steel to avoid any corrosion and color fading. Brushed stainl..
Give your cabinet a classy makeover with this unique Bold Style handle! 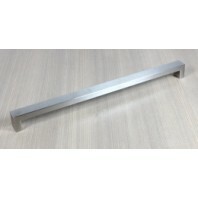 28"(Overall Length) 100% Stainless Steel Cabinet Handle Pull. 27" hole to hole spacing. Made with 100% Stainless Steel to avoid any corrosion and color fading. Brus..
Give your cabinet a classy makeover with this unique Bold Style handle! 35-1/2"(Overall Length) 100% Stainless Steel Cabinet Handle Pull. 35" hole to hole spacing. Made with 100% Stainless Steel to avoid any corrosion and color fading. Brushed st..